Your kid’s bedroom is his own private space, where he spends a large portion of the day and the entire night. This is the place where he studies, plays, rests and nurtures some of his childhood fantasies and dreams. Hence your kid’s bedroom décor is something that must be planned and designed care and close attention. The bedroom décor ideas have to be such that the look will be attractive and interesting and the elements will be utility oriented. 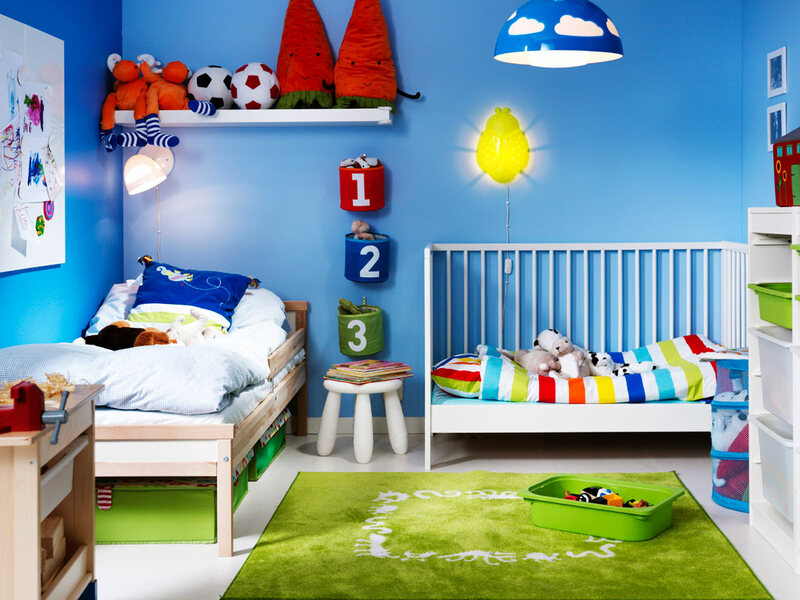 Here we shall discuss some basic ideas that can help you design a super exciting décor for your child. Tree House – A Treehouse is an idea that can be really conducive to a small bedroom décor. This is a concept that is interesting to look at and is also super space saving. Your child can be perched high up and can have a great time. It can also make the room more spacious. The tree house can be approached through a ladder or a flight of steps. Always ensure that the steps have proper railings on both the sides and the room must have no unprotected ends of walls. It must have a door that should open on a small verandah. The verandah must be a well-protected one. Furniture – The furniture in the room must be intelligent ones. This is one of the elemental aspects of the bedroom décor ideas. You must ensure that the furniture should not have any sharp edges. This can make the room a lot safer. The furniture in the room must be minimal, and most effective. For example have a single but a large cabinet in the room so that all the clothes, books and toys can be fitted in a single cabinet. The cabinet must have many sections within. Additionally look for space economic furniture that can leave space empty for playing. Drapes – The drapes of your kid’s room forms and elemental item in the bedroom decoration ideas. Try to keep the colors as lively and as bright as possible. This adds to the ambiance of the room. The drapes will include the curtains and also the bed and the other furniture covers. Be sure to clean and dust them regularly to keep the room as clean as a possible. You can also look for a small rug or carpet that could be placed just next to the bed. It could be a welcoming touch for the child before he or she enters a bed and while stepping out. Light – Lights are so very important for your child’s bedroom. It can contribute to making the room livelier. You can install different colored lights. However, you must be sure to incorporate bright lights, which will help your child to study well and read well. You can also add colors and lights to the ceiling. This will make the room look interesting and lively. You can also go for false ceilings with a fluorescent touch. The ideas to make your kid’s bedroom are quite endless. You can design the look of the room on your own or on the dint of a professional designer. Ideas from the child must also be taken into consideration.